When the mailbox moved in, Adam was a little intimidated. A whole letter?! 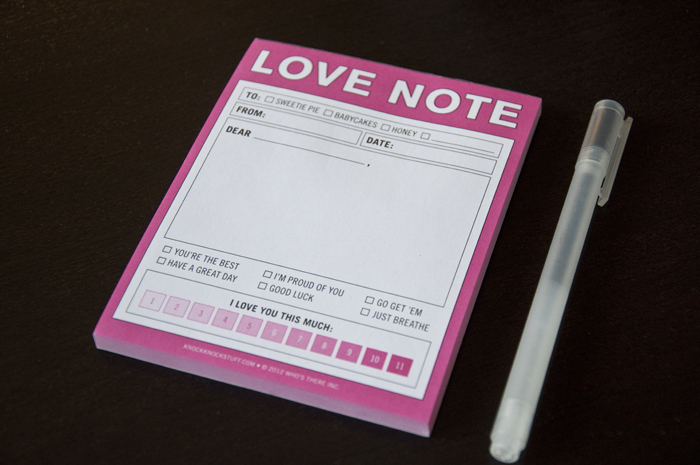 So I softened the blow and gifted him “Love Notes”, a glorified mad-lib, not much larger than a post it. Its a perfect fit for our tiny box, and there is a small space for sentiment. Sometimes Adam draws pictures, and sometimes I get a 12! Do you leave notes for the ones you love?